Often when we are reading the Gospels we miss, or rather, skip over certain statements that are made in passing. These statements frequently add nothing to the narrative or even might raise questions that the narrative is unable or uninterested in answering. It is only when we compare them to the parallel account found in another of the gospels that we find some details that explain them. That is, that these stories are told in ways that the inconsequential details dovetail together in such a way that show that neither was copied from the other but also that they reveal real and reliable testimony. They are undersigned but no gospel writer was writing something intentionally inconsequential hoping that one day another writer would come along and fill in the necessary detail only for a third person to come along and piece it all together just to try and fool people to believe that the original document wasn’t forged. These narratives fit together in such a way to show that there is a real event that the witnesses are describing. This raises a problem for those liberal scholars who would like to say that the stories developed as myth, are allegory, are not the result of eyewitness testimony or were produced far to late to be reliable. We will see as we examine just some of these “undersigned coincidences” that they are the hallmark of good eyewitness testimony and indicate reliable authorship rather than forgeries. This is found in the story of the Transfiguration. So Jesus takes three of his disciples up onto the mountain and after a while they fall asleep. When they wake up they find Jesus glowing and talking with two guys who have come down from heaven! Then a cloud covers them and they hear the voice from heaven, then “when the voice had spoken, Jesus was found alone. And they kept silent and told no one in those days anything of what they had seen.” But I’m sure most of you have a question at this point. The question that this story almost screams out for an answer is why did they not tell anybody? If you or I were to see such an event, we would undoubtedly tell people, and a lot of people, about it. So why did they not tell anyone? Luke simply doesn’t tell us. So what Mark is recording (which some scholars think is actually the testimony of Peter as Peter is reporting it to him) is that Jesus actually commanded the disciples not to tell anybody. So what we find in Mark is a detail not found in Luke that gives a fuller picture of what Luke was reporting. It explains something puzzling about Luke’s account. This also gives rise to a problem with what is known as Markan Priority, that is, that Luke is copying from Mark. If Luke was copying from Mark, why would he leave out a detail from the narrative that would explain a very puzzling fact that he left in? Why hold on to the part about the disciples not telling anyone but leave out the reason why they didn’t tell anyone? If Luke was coping from Mark, he would have carried over the detail that Jesus had commanded them not to tell anyone. Now the question comes up, why does Herod, with all the resources at his disposal, go to the servants in his household to get information about Jesus? Right if Obama wants information about what is going on in Egypt, he doesn’t go to the cleaning crew. But that is what Herod does. Now why would he do that? Why would he think that his servants would have the answers? 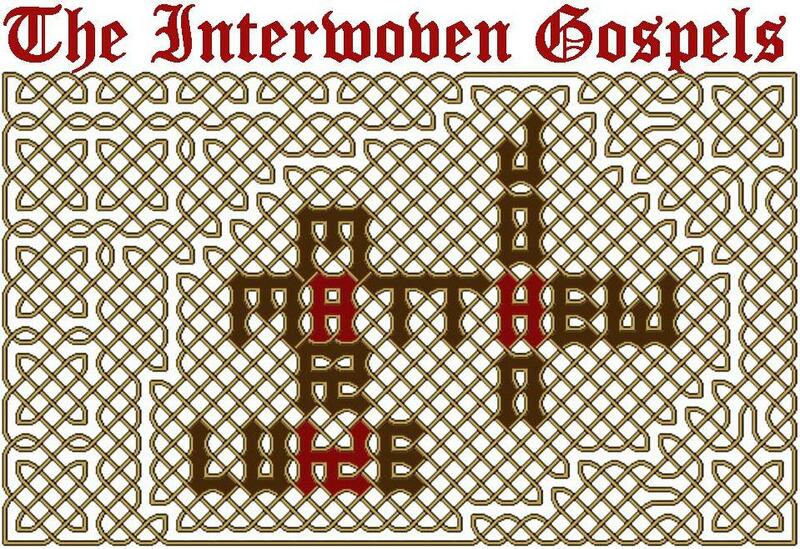 If you look through Matthew you will not find the answer. It is simply an off the cuff comment that Matthew makes when reporting the narrative, that Herod goes to his servants. But now flip over and look at Luke 8:3. Before we look at it we should point out that this is not meant as a passage to explain Matthew 14. It is not found in a parallel passage. It is not addressing why Herod asks his servants. It is what Tim McGrew calls “fly over territory”. These are the boring parts that are almost totally inconsequential and we like to just skip over. In other words, in passing, Luke drops the information in passing that Jesus had followers who had family that worked in Herod’s household. And a household manager or steward is no lowly position. And Herod is not a fool. He would know this. He would undoubtedly know that he had followers of Jesus, or at least the family of followers of Jesus at his disposal in his own household. If he has questions about Jesus, like he did, he wouldn’t have to go further than his own household. So this passage explains what is going on in Matthew 14. Why is he asking his servants? Because he knows that they know. Here we will be looking at John 6:5 in the set-up for the feeding of the 5000. We find Jesus and his disciples just arriving on the opposite shore of the Sea of Galilee and becoming confronted with a large crown gathering. Now at this point John does something rather strange. If you were going to forge a story or make up details, you would bring up well known characters. Well here Jesus doesn’t not address Peter or John or even Judas (who we might expect since we know that Judas was the one responsible for the group’s money bag), but rather he addresses Philip. Outside of the calling of Philip told in the gospels, Philip is only mentioned 2 times, in this story and then again basically as just a messenger in John 12:21-22. This is not a heavy hitter in the NT. And yet this is who Jesus looks to when he wants them to buy bread. Why? But notice that whereas John doesn’t mention the setting of the miracle, Luke doesn’t mention Philip. So neither is copying from the other. They are not taking details from each other. Well the question is raised, why there is suddenly so many people out and about? Skeptics have actually tried to use this to find an error in the passage pointing out that we wouldn’t have thousands of people from one small town coming out to hear a sermon. So where are all these people coming from? Well turn back to John 6. So whereas Mark simply tells us about the crowd, John fills in the details and tells us that this event took place right before the Passover. This would mean that there would be thousands and thousands of sojourners traveling on their way to celebrate the Passover in Jerusalem. So this does not mean that there were thousands of people living in this little town of Bethsaida, but that this crowd would have been from all over Israel. Again, this is simply another historical detail that one author leaves out but another author provides to dovetail all these accounts together. 4. Peter, do you love me? Here we find Jesus chatting with Peter after the resurrection and he asks him what comes across as a pretty harsh question. Now when we see the two passages together, why is Jesus asking Peter if he loves Jesus more than any others? It is because Peter had boasted that he would be more faithful than anyone else, but he hadn’t. But we don’t get any of that in John, not even in his telling of the same upper room narrative in John 13. It is only when we fill in the blanks from Matthew that we see the whole picture. In this next scenario we will be looking at the passage in John when Jesus is brought before Pilate. He has been accused and arrested by the Chief Priests and now is standing before Pilate and they begin to have a conversation where Pilate asks Jesus in v33, “are you the king of the Jews?” Now, for those following the narrative in John, this is NOT one of the accusations that the Jews have been using to get Jesus arrested in the gospel. They accuse him of being a troublemaker and of blasphemy but never of claiming to be king of the Jews. Pilate might as well have asked him if he was the Mr. Universe of the Jews. It was just a question that in John is completely out of left field. Now, Pilate’s question make sense. It is not that John got the question wrong. It is that John simply left out a piece of historical detail that would make the question make more sense that Luke fills in for us. A Roman Procurator has to take the charge of someone claiming to be king had to take care of. So Luke gives us a detail that John leaves out, that helps us better understand John. Now when Pilate asks Jesus if he was king he responds with a normal Greek idiom. In our translations it says something like “you have said so” or “you say it is so” or something like that. It actually was a common idiom something like our “from your mouth to God’s ears.” Basically he is saying “yup, you said it buddy.” It’s an admission. So this raises a huge problem in the text. Here is a Jew, accused of claiming to be king, one of the biggest offenses in Roman society, and a Roman procurator saying that he finds no guilt in the man? What? No guilt? He just admitted to it! So what is going on? That doesn’t make sense in Luke by itself. So now it is a fact that is missing from Luke that we find in John that explains the narrative. They both find details in the other account that help us understand the story itself. We don’t know in John why Pilate asks if Jesus is a king, but we don’t know from Luke why he says that Jesus is innocent. Neither one is copying from eachother or they would have left those details in but neither one is making up an event on their own because the other source assumes some background information that is not essential to their own version that happens to fill in the other version. Now anyone familiar with gospels knows that healings were not isolated events. They were large crowds, cutting open roofs, pushing through crowds. So why is it that these people didn’t come to Jesus until evening? Why werent they standing in line like the new iPhone was coming out? So why do people wait in Matthew to come to Jesus at sundown? Well Mark tells us. It was the Sabbath. Well at this time who was the dominate sect in the Jerusalem at the time? It was the Pharisaical sect and they taught that you could not work on the Sabbath, not even carrying someone to be healed or walking more than a few hundred steps outside of your house. So the people wait until sun is down then immediately start leaving their houses and carrying their sick to Jesus. 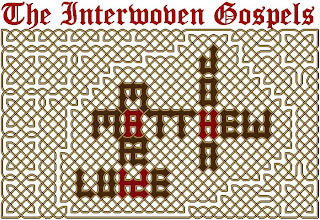 This is a trivial statement in Matthew that people did not come until evening, but it is fully explained Mark. I am working on documenting more of these but I will post these for now. #1 If God exists, then there would be no suffering. #2 It is not the case that there is no suffering. #3 A perfectly good being would want to prevent all evils. #4 An omniscient being knows every way in which evils can come into existence. #5 An omnipotent being who knows every way in which an evil can come into existence has the power to prevent that evil from coming into existence. #6 A being who knows every way in which an evil can come into existence, who is able to prevent that evil from coming into existence, and who wants to do so, would prevent the existence of that evil. #7 If there exists an omnipotent, omniscient, and perfectly good being, then no evil exists. #1 There exist instances of intense suffering which an omnipotent, omniscient being could have prevented without thereby losing some greater good or permitting some evil equally bad or worse. #2 An omniscient, wholly good being would prevent the occurrence of any intense suffering it could, unless it could not do so without thereby losing some greater good or permitting some evil equally bad or worse. #3 (Therefore) There does not exist an omnipotent, omniscient, wholly good being. #2 The hypothesis of indifference, i.e., that if there are supernatural beings they are indifferent to gratuitous evils, is a better explanation for (1) than theism. #3 Therefore, evidence prefers that no god, as commonly understood by theists, exists. Yet one more can be added. So I do not appear to be setting up a straw man, I believe that the atheist has an even better argument that they often do not even consider using because to assume it, is to intentionally borrow a Christian doctrine. What better example of suffering is there than eternal damnation in the fires of hell? The existence of hell cannot be attributed to human free will, even if humans being sent there may be. God created hell. So what can we say to this? What is a proper response? Let me first say that I do not intend to respond to this pastorally. I would never use this line of reasoning to comfort the afflicted or to show kindness to the widow who just lost a spouse to seemingly senseless tragedy. So if this comes across as cold and logical, that's what I intend. I believe that the answer to this logical dilemma is actually surprisingly quite easy. The basic answer is that the problem is a false dilemma. The question of evil presupposes God in order to deny his existence. It is like the small child who must crawl onto his father’s lap in order to slap his father’s cheek. The problem of evil is only a potential problem in a theistic universe. In an atheistic universe, there can be no basis for absolutely morality other than something like “social contract” or “herd preservation.” Yet these are not absolute foundations for morality but are expressions of Darwinian necessity. For the strong to survive, the strong must cooperate so to speak. This then makes a moral fiction. There is no real morality only a kind of social code that we ascribe to. So if a man decides to forcibly take another man’s wife, he is not actually breaking an absolute moral law, but rather is creating his own social contract, albeit and unpopular one. We do not say that the lion is immoral for eating the sick and aged in the herd, we say it is survival. Thus, the atheist, no matter how much they attempt to find an absolute basis for a relative morality, can never find one. So when an atheist points to suffering and calls it “evil” he is actually borrowing a truth from the theistic worldview. But if the theistic worldview is necessarily correct in order to make the argument, he must either relinquish his insistence on the argument as a false dilemma, or give up his atheism as a false worldview. Either God exists and his denial of God is in error, or God does not exist and the problem of evil is invalid. The answer however, is not to deny the existence of God as incompatible with the pain. The answer is to realize that evil points to us that this is not how the world is meant to be, and that one day God will make things right again. God is not oblivious to our suffering and he sent his own Son to take our suffering onto himself so that one day we would enter his rest where there will be no more pain or sickness or suffering. So the next time an atheist tries to use pain and suffering and evil to discredit the existence of God, don’t be afraid to show him that he is borrowing our worldview. Don’t let him. This was a talk BANNED by TED... how does a group dedicated the Free Thought and skepticism BAN a talk that challenges the worldview of Scientism in order to make science more free? What's next? A science inquisition?! "Burn the witch!"